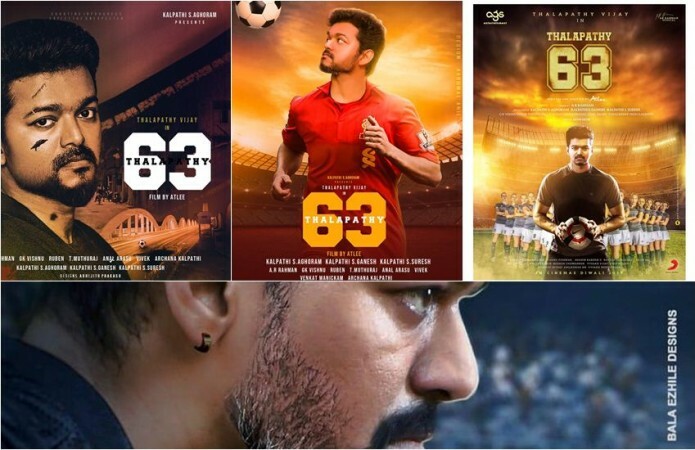 An aspiring filmmaker has accused Atlee Kumar of stealing Vijay and Nayanthara's Thalapathy 63 story from his short movie. A Vijay film is once again in the news over plagiarism allegations. His upcoming movie, presently referred to as Thalapathy 63, is allegedly inspired from a short film directed by aspiring filmmaker Shiva. According to a Tamil daily, Shiva has accused Atlee of lifting the story of Thalapathy 63 from his short film. He has already lodged a complaint with the South Indian Film Writers' Association and will push the matter forward to the court if he fails to get justice from the writers' guild. The report claims that the aspiring filmmaker had narrated the story to a few producers and believes someone among them might have leaked the story to Atlee Kumar, who is now making the short film into a full-fledged flick. As per the rules of the writers' association, it can look into the matter only six months after the writer registers his/her name in the guild. Shiva is a newly-registered member and his issue is unlikely to be solved in the association. Thalapathy 63 is a sports drama in which Vijay, majorly, plays the role of a football coach. Indhuja is said to be the captain of the football team. The movie revolves around Michael (Vijay), who tries to fulfil a dream of his close friend enacted by Kathiresan. Currently, the shooting of Thalapathy 63 is underway at the EVP Studios in Chennai where a massive set of a stadium has been erected. AGS Entertainment-produced film has Nayanthara playing the female lead. In recent years, Vijay's Kaththi and Sarkar were accused of plagiarism and the issues were solved at the last minute of its release. While Gopi Nainar lost the case in court, the Sarkar issue was more serious as the writers' guild found similarities with AR Murugadoss and Rajendran's scripts. The issue was amicably solved after AR Murugadoss agreed to give credit to Rajendran in the title credits. Likewise, Atlee had faced similar charges for all his previous films –Raja Rani, Theri and Mersal.